“Little Women” is the musical being presented on campus this week in Cantrell Music Hall. This is an exciting production for the School of Music that will be featuring some of SNU’s most talented students. “Little Women” the musical is based on Louisa May Alcott’s book of the same name and is set in the 1860s. The musical tells the story of the March girls of Concord, Massachusetts. Jo March is an ambitious young woman who wants to make a huge impact on the world as a writer. With a confident spirit she seeks to make a big impact on her profession. She leaves her home town and goes to New York City to pursue her dream. She is very passionate about what she does, but not many people understand her motivation. Through Jo’s pursuits we experience the themes of sisterhood and female empowerment. Catherine Etter is also going to be playing the lead role. When asked what she wanted to say about the show, she commented, “You should come, It will be great.” She then discussed how Jo actually has some really good life lessons worth learning, and to find out what they are, one should come to the show. The cast is very excited to have the opportunity to perform for the student body and community. 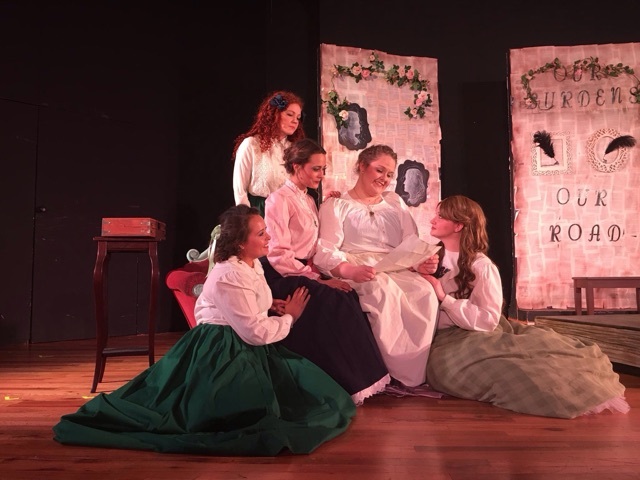 “Little Women” has four show times: Wednesday at 10 a.m. and Thursday, Friday and Saturday at 7:30 p.m. Catherine Etter will play Jo March during the Thursday and Saturday performances, and Alyssa Fletcher will play Jo Wednesday and Friday. Tickets can be purchased in the Music Office in the Parker Fine Arts Center. Tickets are limited, so be sure to pick one up before they are all gone. Prev PostGotta Catch ‘Em All, Pokemon!